It’s corny, but we get really excited about space. There’s something so compelling about walking into a quaint little store and being immersed in the emotional and artistic value of the company right as you enter. 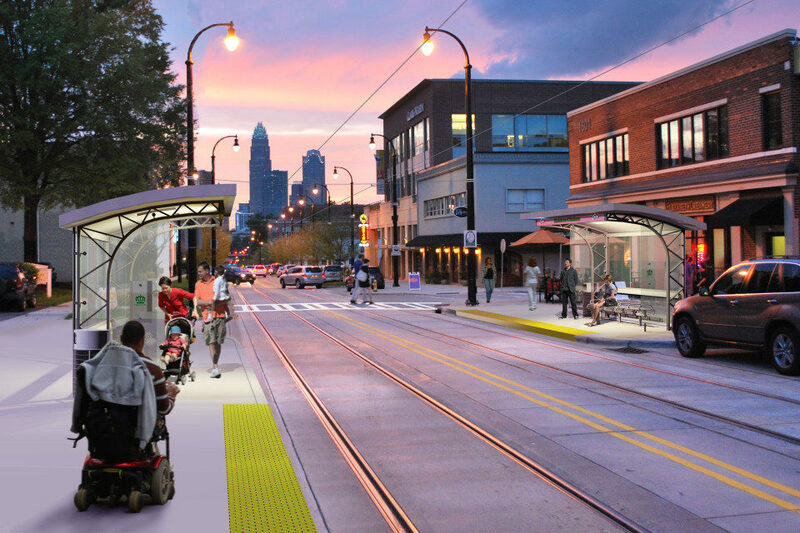 We want to know what about these businesses makes them thrive the way they do, so we came up with a list of Charlotte businesses who excel at leveraging space to speak to their audience to create remarkable experiences. This small retail and design studio, located off providence road brings in authentic locally crafted beads. Named as Carolinas foremost source of beads, jewelry supply and instruction, the studio prides itself on accommodating their customers’ needs and establishing a tight knit community. The company capitalizes on gaining customer feedback and adhering to specific requests by customers. 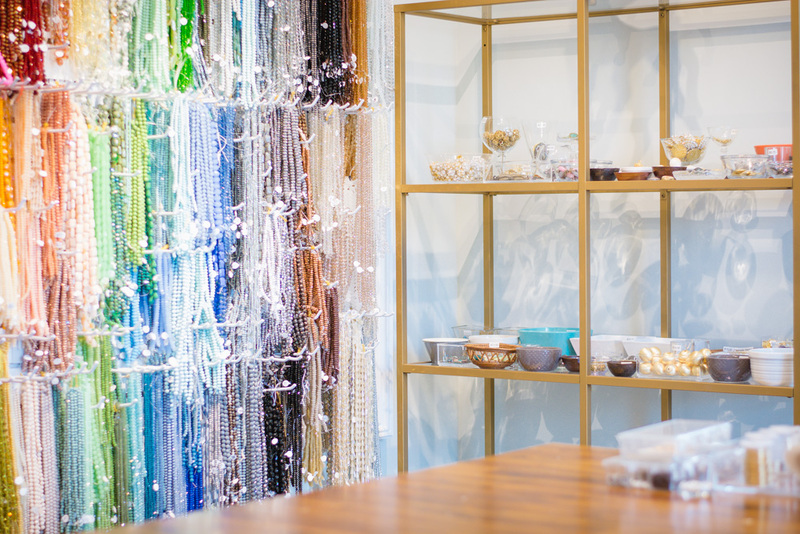 The opportunity to create your own beads and have a hands-on experience makes this company special, and a cornerstone of the Charlotte makers community. Pura Vida features one-of-a-kind, handmade items by all-local artisans. Art, Jewelry, Home Goods, Pottery, Clothing, Accessories & much more – all crafted right off N. Davidson. 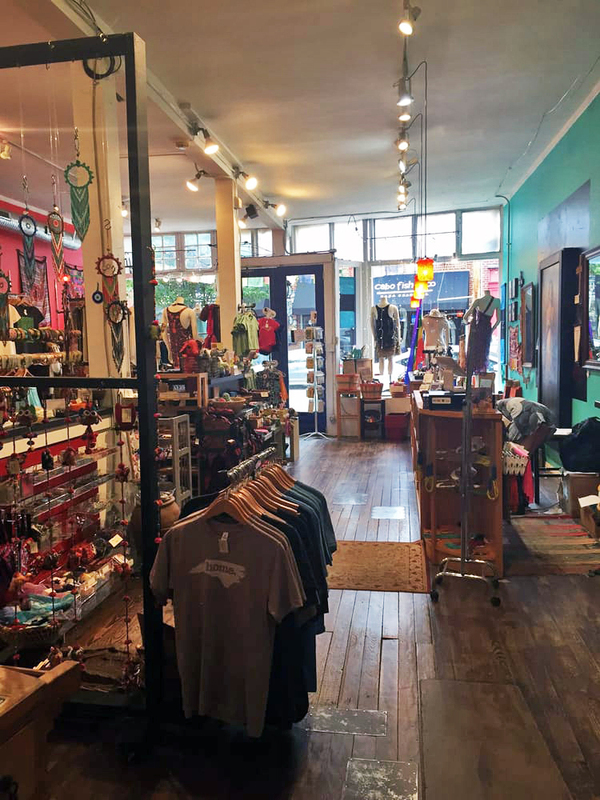 Discover your inner hippie self with organic boho-chic clothing, a myriad of global jewelry, handmade toys, soaps, books and soy candles and all the good luck amulets and spiritual items you could need. As you walk further back into the shop, you notice a third little room consisting of an Art Gallery and paintings by local artists. The splashes of colors and different textures give the room a cozy feel, like you’ve discovered something a little bit secret and a little bit magical. Next time you stop in, be sure to walk all the way back! This cute small-town bicycle shop has been serving the bicycle needs of the Downtown Matthews area for over 15 years. The shop prides itself on evolving and adapting its services to satisfy the needs of the community in the ever-changing world of bikes. They support and service local riders of all ages. Any brand of any bike can go and get repairs done. What is so distinct about the little shop is not just the large retro looking bike out front, but the tight-knit community that Mojo has worked so hard to establish. Get tired of riding around all day? 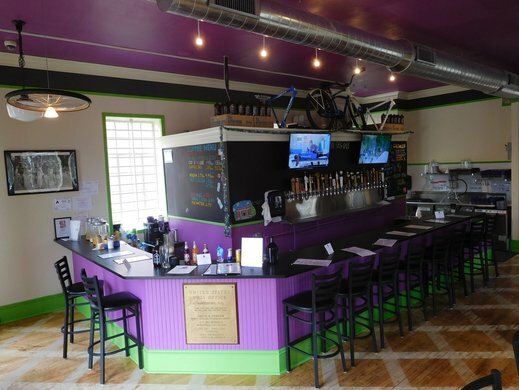 The shop also has a partner taproom with 26 beers on draft and a cozy atmosphere located right next to it. You can bike and drink, right? I guess you’ll have to take it up with them. A retro looking diner located in the heart of south end, right next to the light rail and just far away enough from the bustling of the city. Pikes stringed lights and bright colors stand out in the night. 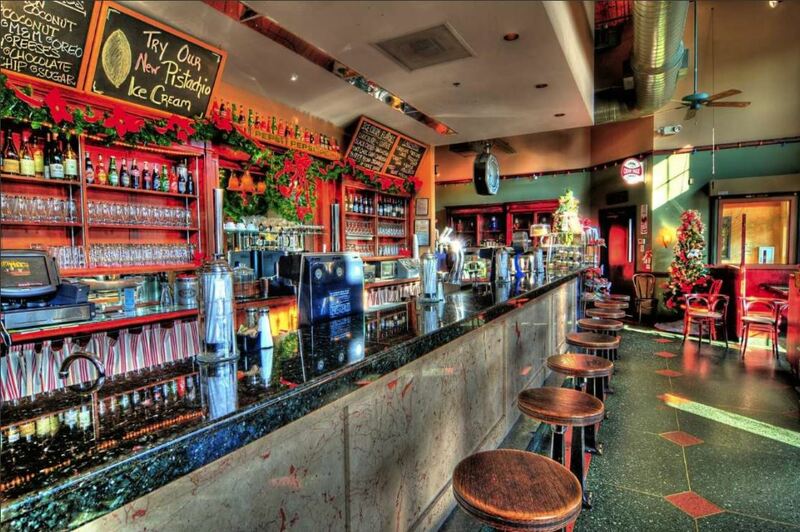 When entering you see the 80s looking circular stools and case of pastries with a widespread bar, old fashioned sodas, banana splits and warm colors. The soda shop seeks to create a friendly, comfortable, consistent and unpretentious atmosphere with a menu inspired by classic diners from all over the country. Pikes captures the essence of a time when life was simpler. Also- if you’ve ever seen the movie Shallow Hal, it was filmed right in this very shop. This quirky little French bakery, located in NoDa district has encapsulated the kind of funky and artsy atmosphere that’s completely unique to this area. The little French bakery stays open 24/7 supplying a plethora of different pastries, cakes, sandwiches and espresso drinks. 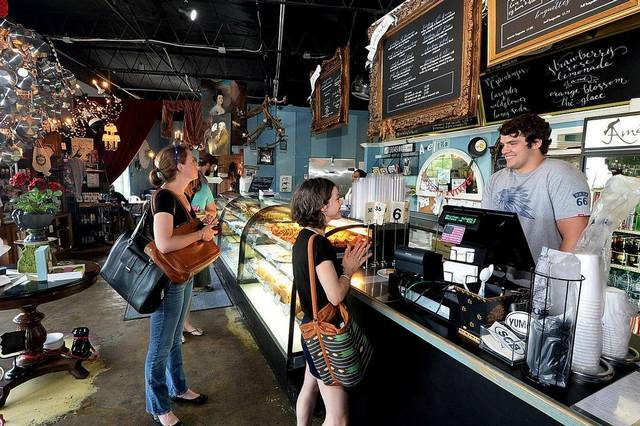 With a number of coffee shops located in the greater Charlotte area, none distinguish themselves quite like Amelies does. The little bakery is filled with Knick knacks, eclectic pictures, ironic art and French designs. Can’t find seating? Don’t worry, it keeps going back to two other couch-lined rooms, including an outdoor area. Their bakery case of pastries is displayed right when you enter. But, that’s nothing compared to the crescendo of scents and colors, guaranteed to draw you further inward. For more information on how to use your space to create remarkable experiences, fill out our contact form below.